Hello everyone and welcome to another edition of Mastication Monologues! 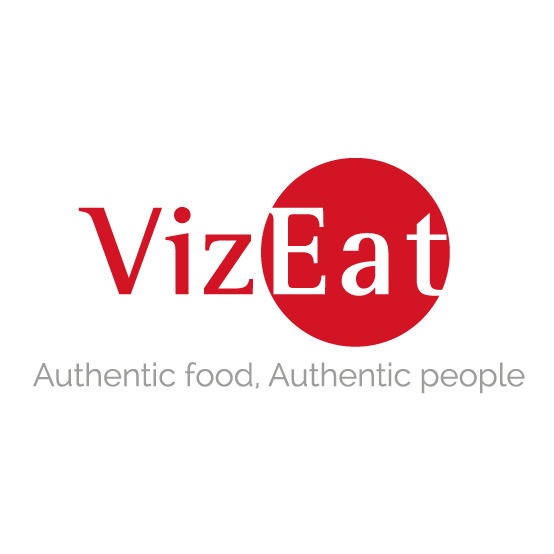 Today I am presenting the final chapter in my food travel series where I manage to go out in true foodie style with some very visceral cuisine. I started the day with a pretty laid back lunch with Christie at the department store right by Taipei Main Station on the MTR. 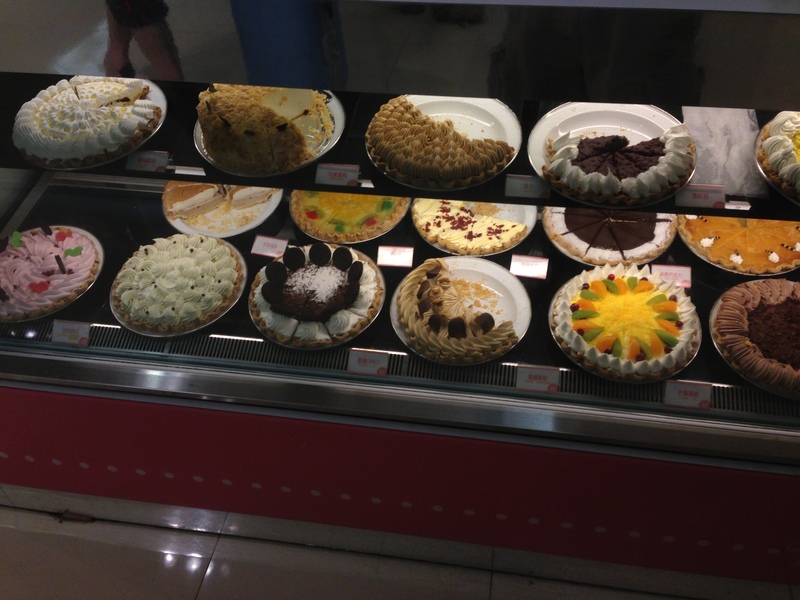 While we were perusing the food court, I didn’t know where to turn first since everything looked so delicious, but I wanted to get something that I couldn’t get in Korea. 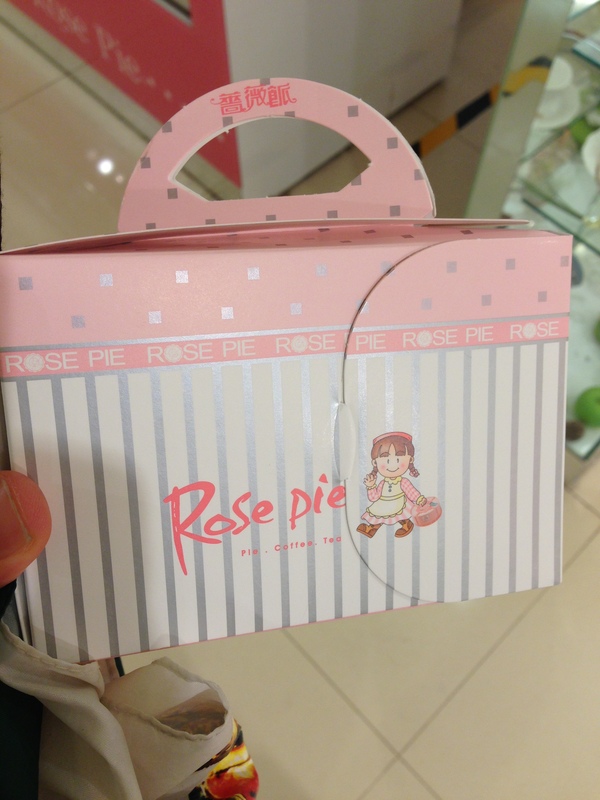 Having the sweet tooth that I do, I was drawn in by a lit up glass case that contained about 20 different kinds of pies at a stall called Rose Pie. Trying to find legit bakery in Korea is quite hard to do, so I wasn’t going to let this opportunity slip through my fingers while abroad. I wanted to try them all, but I saw one that caught my eye that I thought was some sort of chocolate and peanut butter pie. After Christie asked the girl behind the counter what kind it was, turns out it was my old nemesis: red bean. I shall never escape this crimson fiend! 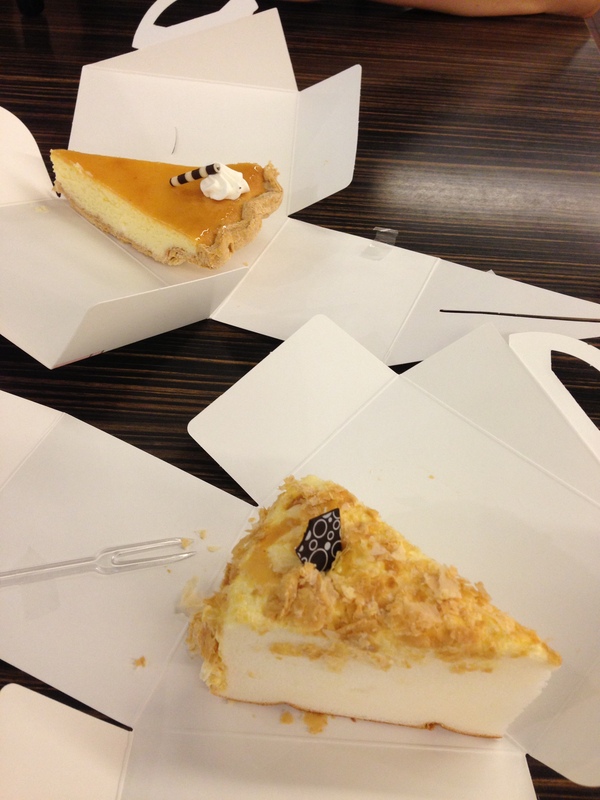 So after I dodged that pitfall, we got a slice of lemon poundcake pie and plain cheesecake. The pound cake was interesting because it was made like pie in a tin yet the contents were light and filled with tart lemon notes along with subtle sugar notes. As for the cheesecake, it was heaven. The body was softly whipped into a moderately sized slice of cream cheesy goodness. The only downside from our dessert experience were the forks that were severely undersized to cut through the thick bottom crusts on the slices. 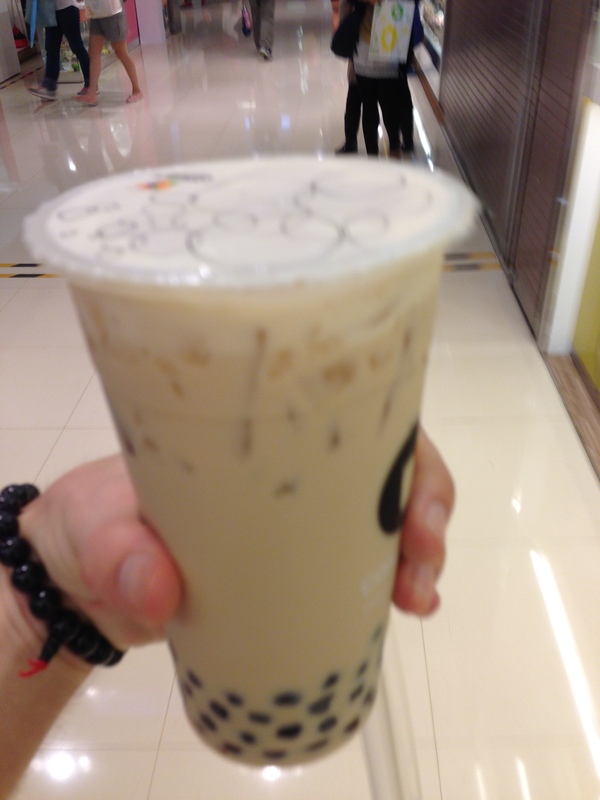 I also got a cup of classic iced boba tea with extra tapioca bubbles since Taiwan is the home to this refreshing beverage. I knew I came to the right place as the tea itself was milky yet sweet, and the bubbles were there in force and extra chewy. I’m all about experiencing different textures, and this drink fit the bill. Now, we were meeting up for lunch, and we started off with dessert. Strange, don’t you think? 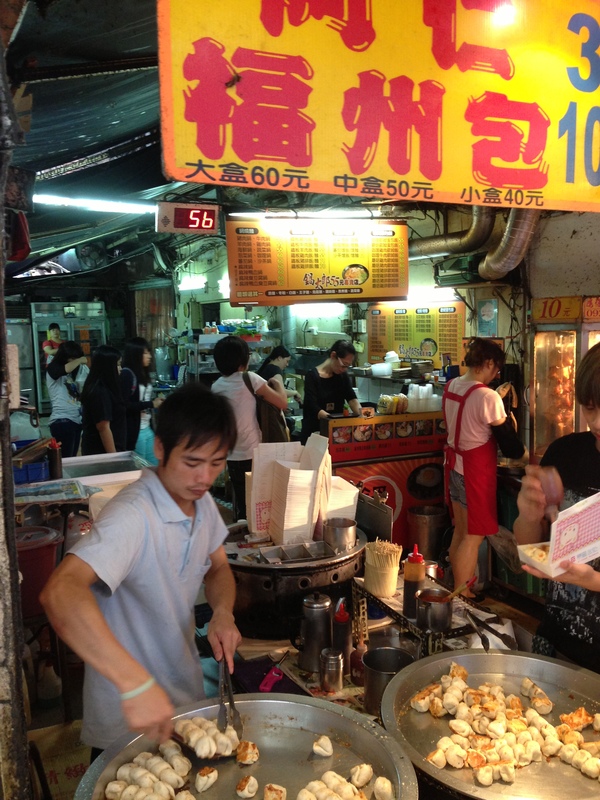 However, that didn’t stop us from eating in reverse order as Christie took me to another small hole-in-the-wall place that specialized in two Taiwanese specialities: 臭豆腐 or stinky tofu and 蚵仔麵線 or oyster vermicelli. No frills dining at its finest. We ate all the way in the back through the door on the right hand side. First, there is the stinky tofu. You don’t have to be a genius to wonder why it’s called “stinky”. Just walking past restaurants or street vendors who were hawking small deep-fried nuggets of the bean curd made me wonder if I briefly fell into an open cesspool based on the smell. I got a good whiff as soon as I walked in the door to the main part of the restaurant as its pungent odor attacked my nostrils. We were led to a smaller back dining room that was enclosed with just some clear heavy-duty plastic sheets that could be found being used as butcher shop doors. We ordered a plate of deep fried stinky tofu to share and our own bowls of the intestine vermicelli. When the tofu came out, it didn’t smell as bad as when we first walked in, but with my first mouthful, I could taste the rank, semi-putrid funk of this overly ripened tofu. However, it went great with the soy sauce. As for the vermicelli, it was different since there were pieces of pig intestine in the soup instead of oysters which are normally served with this dish. 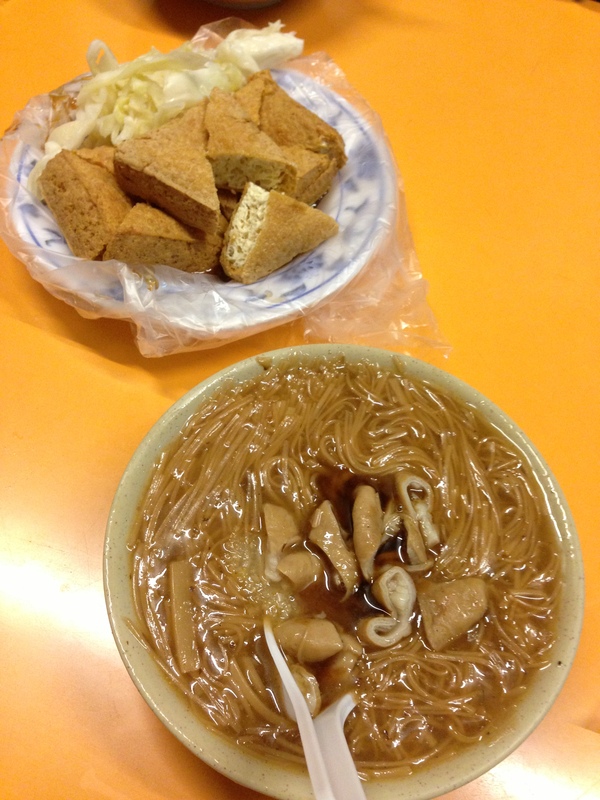 I found that I preferred the vermicelli over the tofu due to its heartiness and rich, meaty flavor from the intestines. The thin noodles also were great because they snuggled into the gentle curves of my spoon quite easily which made chopsticks unnecessary, always a good day in my book. It’s not that I can’t use them, but rather I just think the spoon is much more versatile in terms of eating a wide variety of foods both solid and liquid. It was great sitting cheek to jowl with the locals and soaking in the atmosphere while the latest Pink single was bumping on the stereo. Hooray for globalization! After that filling lunch and a long afternoon of sightseeing, we went to my friend David’s and Christie’s grandparents’ house for one last meal together. When I got there, it was a simple apartment, but I could already smell what Po-Po (grandma) was cookin’, and it only heightened my anticipation. We were also graced with Mr. Wu’s presence; hence, we were being treated to Po-Po’s famous chicken soup among many other things. A feast of the roundtable (going counterclockwise): cooked whole shrimp, stewed fish with marinade, duck and beef slices, a bowl of tripe and intestines, a plate of fresh bamboo, some mixed greens, and the cucumber segments. 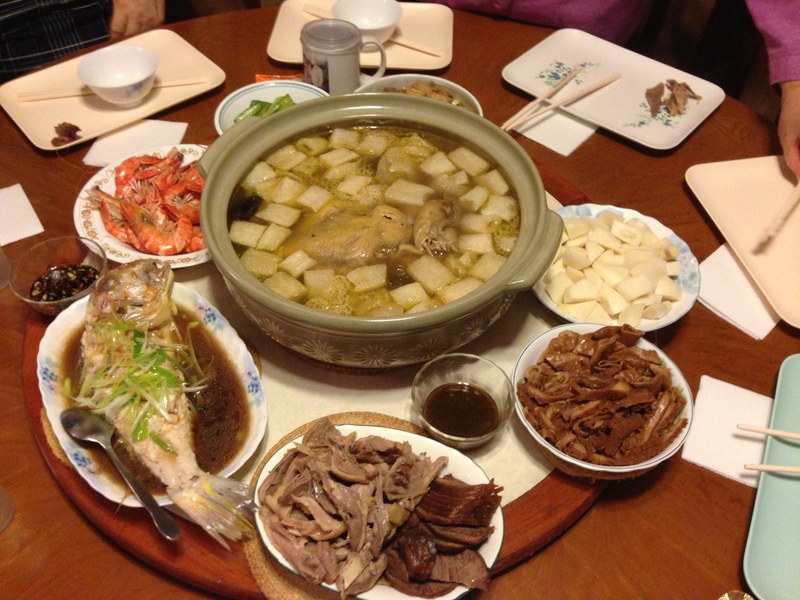 She told me through Mrs. Wu interpreting that the whole chicken was prepared and stewed in the stock for over three days. I helped myself to a bowl of this homemade blend, and it was hands down the best chicken soup I’ve ever had. I mixed in some white rice to soak up more of the slightly salty but bursting with flavor broth, and I really liked the sliced potatoes because they were tender enough that you didn’t even need a knife to cut them. They were like small white icebergs bobbing in a sea of delectable ambrosia. In addition to a couple bowls of soup, I got my fair share of meat with slices of beef, duck, beef tripe, and pork intestines. All of them were cooked to excellence, and the tripe was the most interesting just because it looked like it had little spines from the inside of the stomach. I also had my first experience with eating whole shrimp. I had to take the shell off with my hands and devour the sweet pink flesh inside. Then the piece de resistance was sucking out the fat and brains from the shrimp head. I could see why Mrs. Wu told me this was the best part since it was like taking a shot of butter to go along with your cooked shrimp. Then there was the stewed red snapper that apparently was the object of desire when Mrs. Wu and Mr. Ni were kids. They know good food because the flesh was extremely tender, but you had to be careful to de-bone each piece of its needle thin bones. I managed to do it with chopsticks, so I think I’ve reached Mr. Miagi level of proficiency. The flesh was only enhanced with the soupy gravy that surrounded the fish since it soaked up all of the extra flavors and spices from the cooked fish to create a hyper-concentrated marinade that could be considered a type of controlled substance it was that addictive. Now I wasn’t a complete caveman with eating just meat this meal. I actually enjoyed pickled fresh cucumber pieces that had a sweet, vinaigrette zing as I popped each crunchy segment into my maw. I also saw a plate of what looked like cubes of potatoes or apples, but it turned out to be pieces of fresh chopped bamboo. I didn’t know what to expect taste-wise, but I was greeted with a cool, crisp almost neutral taste that leaned ever so slightly towards a red delicious apple flavor. It was Mr. Wu’s favorite dish, and he showed me that it went well with a dab of mayo. He showed me the light as the eggy/semi-salty mayo balanced out the lighter pieces of bamboo. They saw I was still a little hungry, so they brought out the big guns to really see what I could eat. First, they gave me a dark piece of food that looked like a thick stick bent at a 45 degree angle, and it turned out to be a duck wing. It had a smoky, bbq taste, but there wasn’t much meat on it. Then they threw down the gauntlet when they gave me a thin, semi-elongated piece of meat that seemed to be filled with ridges, nooks, and crannies. 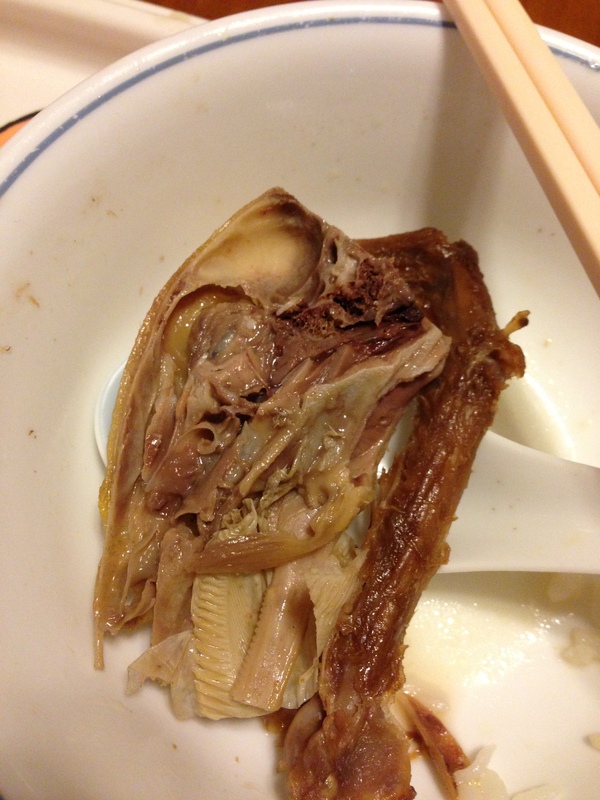 I started gnawing on it, and found this mystery food to be quite bony and filled with cartilage. 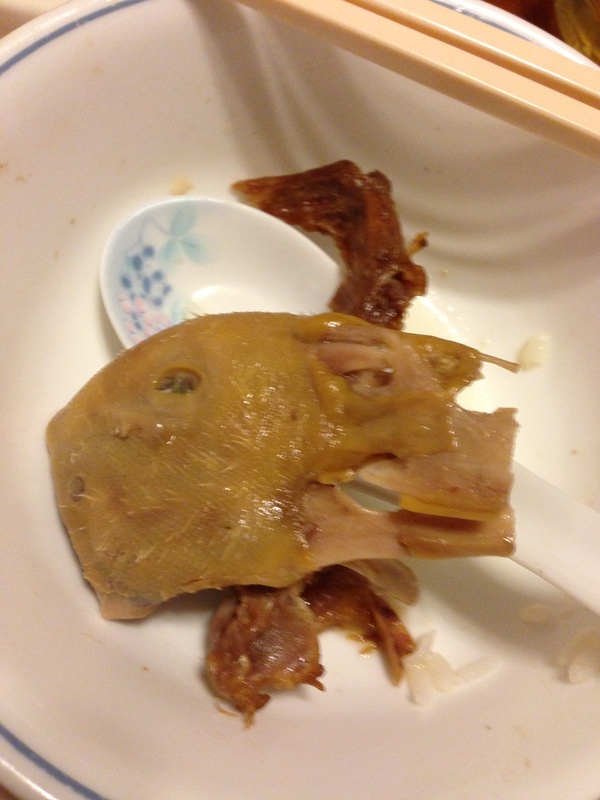 My hosts then informed me I was eating a duck’s head, and I should flip it over. I followed their instructions, and I was shocked to find my food starting back at me with one black glazed eye. That didn’t stop me though from stripping it of the little tender meat still sticking to the cranium along with a piece of tongue. The best part of the head was actually the eyeball since it was oddly creamy and had a decadent buttery flavor to it. Once everyone was finished with their extravagant meals. We had a simple dessert of Chinese and Korean pears and the more bizarre yet awesomely named dragon eyes. 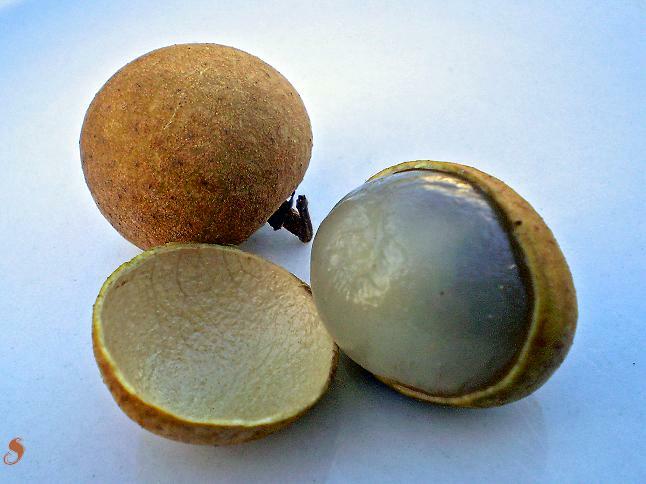 They were similar to lychees, but the insides were clear and jelly-like minus the lychee red juice that stains your fingers when cracking through the outer shell. The taste I could only liken to some sort of fruity version of a walnut which may have been influenced by the large pit in each small capsule. With the last slice of pear gone and the final dragon eye cracked, I bid farewell to my lovely hosts. I will never forget their hospitality as I was brought into their house as a guest and part of the family. Looking back, my vacation was a hell of a ride, but I never forgot to stop and smell the roses and perhaps eat some if they were stinky or different enough. Never stop traveling and pushing your own boundaries.